Edgar Ashley a storekeeper in No. 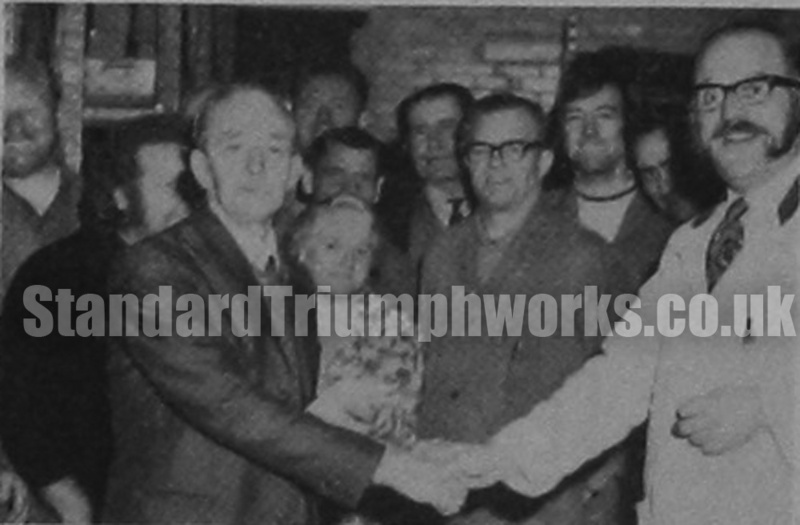 10 Stores, CanIey, retired after 18 years’ service at Standard Triumph. On behalf of workmates, Reg Went, foreman, presented a sum of money, and wished him a happy retirement. Edgar enjoys gardening.